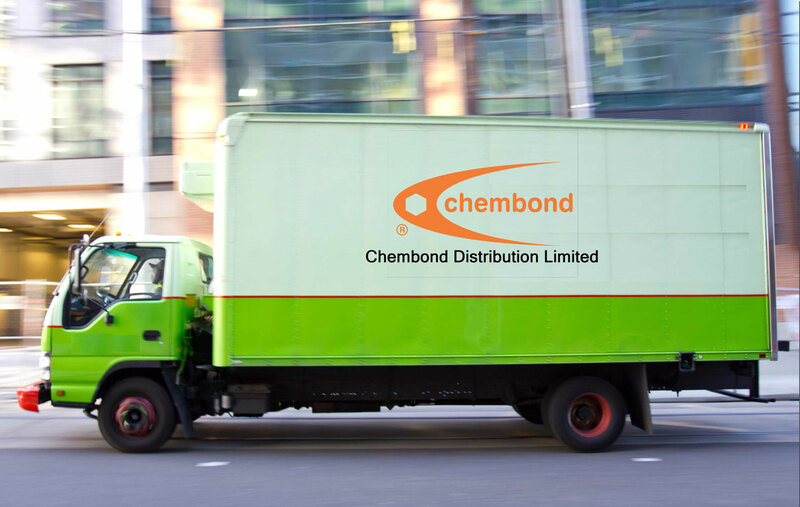 Chembond Distribution Limited is a distributor of specialty chemicals. The products we deal in are sourced from quality oriented international and domestic manufacturers. Primary customers of our continuously growing product range are construction chemical manufacturers, paints and coatings manufacturers, water treatment chemicals manufacturers, paper chemical manufacturers and automotive sealant systems suppliers. We have a dedicated, experienced and technically well-versed team to work with customers. Our strategically located warehouses in Bhiwandi, Maharashtra, and Ankleshwar, Gujarat allow us to serve customers across India in the shortest time and in a cost-effective manner. Our laboratory for testing materials and their applications is situated in Navi Mumbai. This the facility allows us to work with customers for product selection and performance refinement. We represent ISPO Group, France for the range of Polyurethane sealants and waterproofing systems and products in India. Peramin Conpac 500 is polycarboxylate ether powder which is used as super plasticizer for high water reduction and excellent flow properties, application in engineering grouts. Powder product based on mixture of hydrophobic esters used to reduce foaming & control entrapped air in the fresh Mortar which appear during mixing with concrete. It is used as a dispersing agent which gives homogenous and non segregating for mortar and grout It renders the possibility to reduce water content thus increasing strength and flowability. Polyol-based shrinkage reducing agent which reduces the risk of cracking and curling in dry mortar industry and concrete. It is used as an additive in cement and sand to make mortar/adhesive for fixing AAC blocks,Fly ash brick, concrete blocks. Provides enhance workability, adhesion and crack resistance. It is used as an additive in cement and sand for making self curing plaster, provides better workability and open time. Calcium Formate is used as important set accelerator in dry mortar like tile adhesive, block jointing mortar and concrete industry. Cellulose ethers act as thickners, binders, film formers and water retention agents in dry mortar industry. Improves bonding, adhesion and also act as a shrinkage reducer in a dry mortar like wall putty, tile adhesive, etc. Liquid Polysulphide polymer is a liquid elastomer with low moisture permeability and outstanding chemical/ oil resistance. It is a very special polymer having a sulfur structure used as base polymer sealant in construction and civil engineering projects. Polyurethane sealants are used for Waterproofing, expansion, and contraction movement accommodation. Act as a water reducer allows better workability of concrete mix and provides increased slump, retard setting time, is an excellent chelator and as such provides degree of protection against corrosion. Sodium Lignosulfonate used as water reducer for concrete application. Calcium lignosulfonate used as a plasticizers in concrete application. Sulfonated naphthalene formaldehyde powder is a high range water reducer with no air entering component, suitable to make high flowing concrete, precast and reinforced concrete. Incan preservatives for admixture, integral waterproofing compound, and dry film preservative for elastomeric waterproofing coatings. Water- dilutable, 14% active silicon emulsion, designed to control foam in admixture and integral waterproofing compound. Scale inhibitor for industrial cooling water, boiled water and oil field water treatment. Stabilizer for CaCO3, CaPO4 and Zn in industrial water treatment chemicals formulations. Antiscalant and stabilizer for calcium, phosphate, iron, and zinc-based corrosion inhibitors. Dispersant and inhibitor for CaCO3 and CaSO4 scale in industrial water treatment. Benzotriazole is an effective corrosion inhibitor in copper and its alloys by preventing undesirable surface reactions. Dimethyl lauryl amine is used for manufacturing quaternary ammonium compounds which are used as disinfectants , surfactants etc. Dispersant in water treatment industry, gluconic acid is excellent chelating agent especially in alkaline and concentrated alkaline solutions. It is easily and totally degraded in waste water treatment plant. Tolytriazole is corrosion inhibitor in copper and its alloys and also protecting steel, cast iron, cadmium and nickel alloys. Broad pH range, Water-Dilutable, 14% active emulsion, designed to control foam in water treatment chemicals. Milky white 30% silicon emulsion, recommended being diluted in water at a 30:1 ratio. Effective for water treatment chemicals. Concentrated defoamers used in waste water treatment as a distillation system. Safe, rapid-acting bactericide, algaecide, and fungicide, also widely used as biocide for water treatment chemicals. Wet state preservative for aqueous formulations based on Isothiazolinones (14%). It can be used in formaldehyde sensitive system effective for water treatment. chemicals. It is 35% active dry film preservatives used in aqueous coatings and paints. 30% active dry film preservative used in aqueous coatings and paints. Versatile biocide for aqueous formulations based on Isothiazolinones (1.5%) use as in can preservation in distemper paints, premium quality exterior paints as well as primers and wall putty. Wet state preservative for aqueous formulations based on highly purified Benz - Isothiazolinone and free of volatile organic solvents effective in high pH aqueous paints. Wet state preservative for aqueous formulations based on Isothiazolinones. It can be used in formaldehyde sensitive system. A polymeric dispersing agent, highly effective for formulation with high inorganic pigments loading. A polymeric dispersing agent, highly effective for organic pigment used in coating industry. A low molecular weight sodium polyacrylate based (27% - 30%) dispersant effective in emulsion paint formulations. Mineral oil and fatty acid ester based defoamer used in aqueous paint and coating industry. It is an oil-soluble defoamer and efficient foam control agent for water-based paints and coating systems. Water-dilutable, 14% active emulsion, designed to control foam in aqueous paints and coatings. 20% silicon white emulsion based deformer effective for foam control in water-base systems, paints and coatings. High concentration silicon emulsion based defoamer effective for water-based paints and coatings. High concentration silicon emulsion based defoamer applicable in aqueous paint and coatings. AKD wax is widely used in paper industry as a sizing agent. After sizing with AKD emulsion, it can make paperless water absorbing and control its printing properties. High concentration silicon emulsion based defoamer applicable in paper industry. Silicon emulsion based foam controller recommended in 20:1 ratio in water applicable in agrochemical industry. High concentration silicon emulsion based defoamer applicable in agrochemicals industry. Industrial use as a dust suppressant, anti-caking and dusting in agrochemicals industry. Industrial use as dispersant in product like fodder and dispersed pesticides. Elastomeric sealant intended for bonding of windshields and side windows of vehicles. Mineral oil and fatty acid ester based defoamer used in water base ink and OPV . Silicon emulsion is a based defoamer effective for water-based printing ink and OPV. 30% silicone emulsion based defoamer effective for water-based printing inks and OPV. A low molecular weight sodium polyacrylate based dispersant effective for water based printing inks. A polymeric dispersant agent, highly effective for stabilizing Ink formulations. A polymeric dispersant agent, highly effective for dispersing Ink formulations. Versatile in-can preservative used in water base ink and OPV. Safe, rapid-acting benzalkonium chloride-based bactericide, algaecide and fungicide used in sugar industry. Calcium Lignosulfonate used as filler and coloring agent during tanning process in leather industry. Sodium Lignosulfonate used as filler and coloring agent during tanning process in leather industry. Concentrated silicon based defoamer used in textile processing.